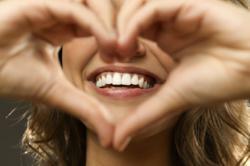 Oral health affects not only the mouth, teeth, and gums, but overall health as well. Visiting a dentist for regular checkups is a key component of oral health. Simple steps can be taken to achieve excellent oral health. For those looking for a dentist in Toledo, Shadow Valley Dental offers these five tips on oral health. To reduce plaque and gingivitis, it is imperative that tooth brushing is done in the proper way. To correctly brush teeth, first choose a suitable toothbrush. The toothbrush should have soft to medium bristles, and feel comfortable when held. Second, brush for at least two minutes, twice a day. This is the bare minimum. It is recommended to brush teeth in the morning, after each meal, and at night. The American Dental Associate recommends flossing at least once a day. Floss is an inter-dental cleaner, cleaning between teeth, as well as the space between teeth and gums. It is much more effective to pair flossing with brushing for maximum oral health. Flossing removes plaque, reduces the risk of gingivitis, and increases overall health. The Academy of General Dentistry (AGD) published a recent article highlighting the use of mouthrinse to combat gum disease and poor oral health. In addition to regular brushing, those who use a germ-killing mouthrinse twice a day reduce plaque by up to 26.3%. This also lowers the risk of gingivitis. Ensure the mouthrinse is meant to kill germs, and is not only to whiten teeth or fight cavities. To increase oral health, eat a diet high in calcium and phosphorus, as these minerals protect tooth enamel. It is also important to eat fruit and vegetables that have a high water content, which dilutes the natural sugar found in these foods. Water, milk, and unsweetened tea are proper beverage choices. Foods to avoid are those high in sugar and starch, such as candy, dried fruit, and potato chips. Visiting a dentist for regular checkups is a key component of oral health. A dentist is able to catch issues before they become larger problems. Through regular dental examinations, as well as proper at-home care, many dental diseases are preventable. Brushing, flossing, using mouthrinse, and eating a healthy diet are excellent ways to maintain oral health, but nothing can replace the care of a qualified dentist. Located near Toledo, Ohio, Shadow Valley Dental offers comprehensive dental care to both adults and children. They are a general practice and offer many procedures including cleanings, crowns, oral surgery, implants, and more.